Training Days are what the club is really about. 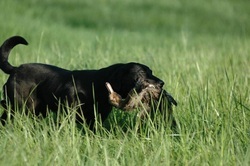 Training days provide you the opportunity to train and teach your dog how to be a retriever. 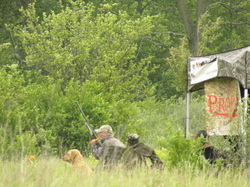 The club brings out the trailer of equipment and birds to give your dog the experience it needs for either hunting or hunt tests. Additionally, members provide members with the tips, things to work on, and any other information you need to help improve your dogs field work. Training days are perfect whether you're training your dog for upcoming hunt test season or just want to get your dog out on marks during the off season. If you don't have a dog or are interested in getting a dog, come out and see what it's all about. We have lots of things going on and break for lunch so handlers can mingle. Your first training day with WWHRC is free. Come check out the fun.